das Blog: Planet Germany LOL! 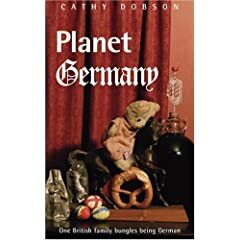 I have just finished reading 'Planet Germany' by Cathy Dobson, and what a delightful book! The first thing that strikes you is that it is written in short narratives with a subject heading, just like a blog. And indeed a bit of googling and I discover Frau Dobson does keep up a blog herself. I wonder if I should have saved my money and just read her blog but, much as I've tried, it is hard to read an online blog in the smallest room or in the bath without risking electrocution. I would suggest she could have taken the blog analogy a step further and written her book in reverse chronological order; there is an unexpected pleasure in coming across a blog and starting to read it backwards, and finding explanations in the past to later puzzling entries. Sort of like Time Team digging down through the strata of history. The blog format encourages you to read just one more entry, just one more entry, and like eating a stack of Pringles, before you know it you've finished the book and yearning for more. I predict many more books will have their genesis in the blogsphere and be printed in this format. There may even be a resurgent demand for diary-type books. I do hope so. Sorry, but Planet Germany doesn't have an exciting narrative arc; no driving plot; no dramatic cliff-hangers, conflict and resolution. Rather it is the day-to-day life of an English expat and her family, cats and neighbours, more autobiographical than fiction. There are minor tragedies and triumphs, everyday disasters and successes. Just like life really. The narrative has the intimacy of being privileged to be allowed to read someone's diary, or of being sent letters from overseas from a dear friend. And like any diary, it doesn't need to be by an Ann Frank or a Samuel Pepys to be gripping; truly we all have interesting stories to tell. Frau Dobson's USP is her window on living amongst the Germans. She observes their idiosyncrasies without being patronising, and never (OK, rarely) stoops to stereotyping. She writes unselfconsciously, wittily and with warmth, and there are many LOL moments. There is an integrity and authenticity to her revelations, and the character sketches she draws of those around her make me feel like I've known (and loved as family) these people for years. As much as revealing the German character, this book also reveals the English character, particularly through the bitingly accurate observations by Cathy's German friend and business partner Brigit (please, please, more of her in the sequel!). Writing so candidly must have it's downsides though. I wonder if Officer Georgeous has read this book and recognised himself? Has Karl-Heinz realised he is being taken advantage of (if he can remember)? What do the Meerbusch Mothers think of their depiction? What do Frau Dobson's children think of the narration of their vicissitudes of growing up? It is the dilemna of the blogger, how much to reveal to the world. I've strived for anonominity here in my blog to protect the innocent. But to be truly authentic it's inevitable that people will recognise themselves. Very brave of Cathy is all I can say. I don't think there will be libel actions brought by clients who had such a bad cold that they couldn't smell the cat diarrhea (arm Hannah cat! ), but who knows. Why this book is offered as a perfect partner to the execrable 'A Year in the Scheisse' on Amazon is unbelievable. Whilst one is a cynical hack-work, the other is a heartfelt love-letter to Germany and to life. I don't believe I need to say which book is which. There is a German word 'gemütlich' which I think we don't have an exact English equivalent of. It encompasses homeliness, coziness, wellbeing, belonging, family, joviality, and warmness. Planet Germany ist gemütlich. Thank you so much - what a lovely review! I'm so pleased you enjoyed my book... reading a post like this makes it all worthwhile! I read this on my birthday and it was the nicest present I could have had! the pleasure is all mine at having read your book. I hope a sequel is in the pipeline. It is such a breath of fresh air to read something so genuine, charmingly witty, uncynical and unpretentious. I'm sure you had nicer birthday presents really, but so sweet of you to say. All power to your blogging and to your future literary output; I predict great things for you! I do love this book. 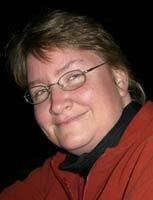 And I have also enjoyed the parts about Birgit! She is so like a few German family members of my own! Andie, I've read about halfway through the book and I too find it very enjoyable. Now if I can just find more time for reading the rest! Amazing book! i love it! I read very enjoyable n i get "Aufklarung".